A typographic poster series of a common phrase used in my day-to-day vocabulary. 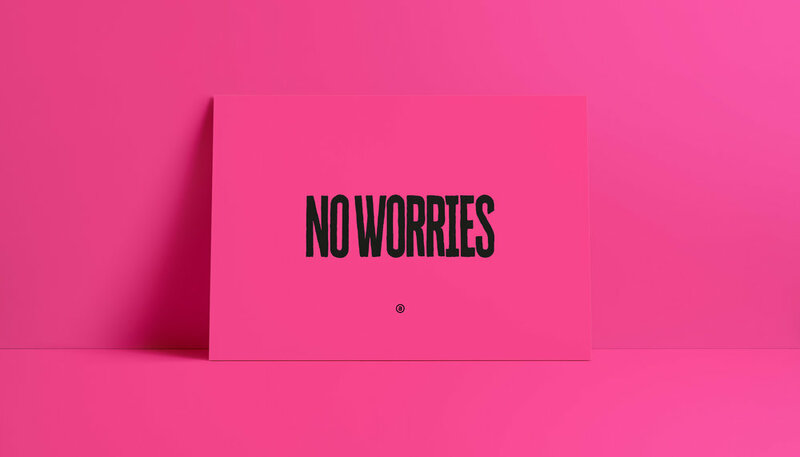 "No Worries" is printed on several bright stocks from GFSmith's collection. Each colour featured a total of 10 unique prints, numbered and initialed by myself. Sold online in March 2017. Printed at Plymouth College of Art.